Diane Rehm, 79, is planning to retire from radio after the 2016 elections. Public radio icon Diane Rehm is preparing to retire at the end of next year, after the 2016 election, a spokeswoman for her radio station WAMU said Tuesday. Rehm had no immediate comment after a Washington Post story about her plan to retire was published on Tuesday. The Post said, citing anonymous sources, that "the station would like her to continue, but Rehm has occasionally expressed weariness with the daily routine of preparing her program." Rehm is 79. "Diane is letting me know what she'd like to do next at the station," JJ Yore, the station's general manager, said in a message to colleagues on Tuesday afternoon. "She is considering a variety of options after she leaves her role as host including a speaker series, a new show or podcast, and other ways of connecting with her most loyal listeners," Yore said. 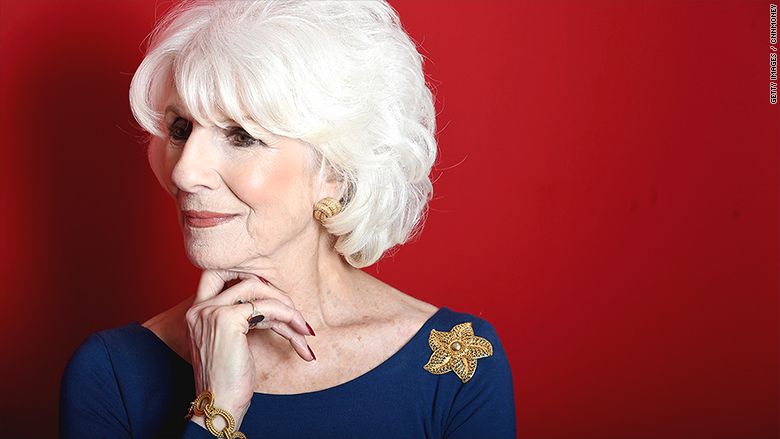 "The Diane Rehm Show," originally launched as "Kaleidoscope" in 1979 and later renamed, is a staple of public radio. It is produced by WAMU and distributed to radio stations across the country by NPR. Yore said that "Diane, WAMU and NPR are working together closely on what comes next, and we are in active conversations about WAMU's plans for a successor program for the public radio morning audience." He indicated that several potential hosts are under consideration, but did not name them. Melissa Block and Indira Lakshmanan have filled in for Rehm in the past, and Melissa Ross will be filling in later this week. "We are committed to finding a successor who will honor Diane's legacy and the qualities listeners treasure about her show -- civil discourse and deep conversations about the issues of the day with listeners as part of the conversation -- while also reflecting changing audience needs and habits," Yore said. "We will have more details to share in the coming months."